Anyone picking up the Daily Express today will find on the front page the embodiment of the political class smugly jabbing his finger at the British public. In David Cameron’s budget response yesterday, Mr Cameron listed the areas where Labour had failed, concluding that Britain now lives under record levels of taxation, to which Ed Balls – Children’s Minister – shouted “so what?”. You can see the exchange and David Cameron’s astonished reply here on the Guido Fawkes' blog. If Eddie doesn’t know what’s bad about Labour’s levels of crippling taxation, let’s list him a few. The government have effectively doubled income tax on low earners by making the 10% band a 20% levy. Pensioners, part time workers and those who should be the first to receive tax relief will be hit hardest. The government tried to fob them off with more benefits and a measly £50 increase in the basic winter fuel allowance for pensioners. But they’re giving £50 whilst taking a hell of a lot more. While the government can take an easy line on criminals, even this week informing judges that drug addicted burglars shouldn’t be sent to prison, there’s always room in the nick for the odd Council Tax protester, as Mr Peers and Mr Fitzmaurice have found out. Then there was the MP expenses fiddle, your Council Tax going to fund lavish salaries for Council Cabinet members as well as bureaucratic high earners and Council non-jobbers. Never mind that councils use your money for their own publicity and MPs were caught propagandizing on your buck, the politicians will continue to tax you, to waste your money until you do something about it! 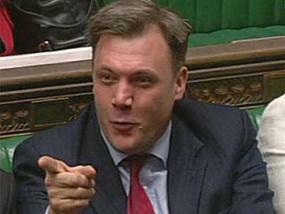 Email Ed Balls through his website and let him know you’re overtaxed. You can also get recruiting for the TaxPayers’ Alliance by sending this link around to your friends, neighbours and family urging them to sign up and get involved. You’ll see on our website the waste we find, the 7 of us working full time and our activist volunteers scanning local papers. But what we find is just the tip of the iceberg. We need your help. Please take some time from your busy day to recommend free membership of the TPA, copy this link from our registration page and forward it to your email contacts. How many more years can you afford these record levels of taxation? It’s time to do something about it!